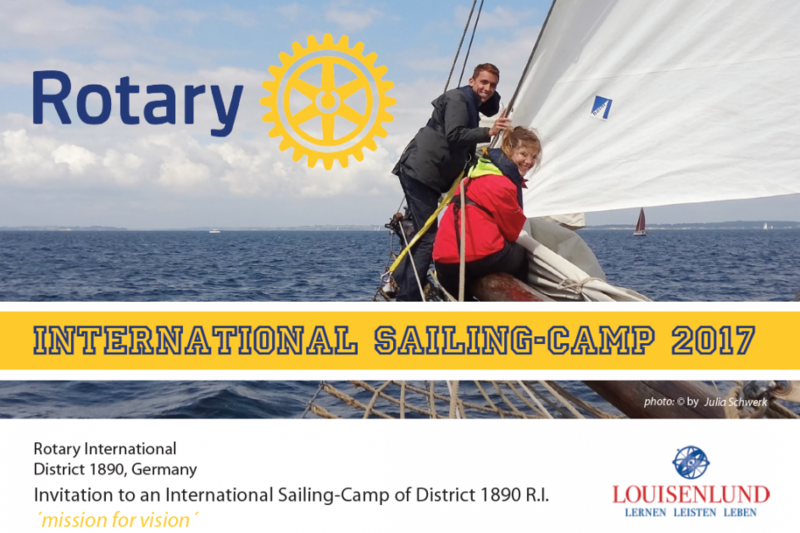 Rotary Club Schleswig and School "Louisenlund"
This Camp is organized by the school of Louisenlund and the Rotary Club Schleswig. The max. 10 participants will sail by cutter on the ord Schlei and on the sailing ship "Kurt Hahn"
at the Baltic Sea. On this ship you do explore the ecology of the waterbodies of the baltic sea. 200 €, the train / air tickets must be paid by the participants, they also should bring adaequate pocket money. All other costs will be covered by the hosts. The YEO of the participating countries are asked to send the application on international standard forms before April 30 th 2017. All Participants will receive acceptance infortmation immediately, and further details will arrive not later than May 30 th 20 17.